Randy Wedgewood is likely the one to call out a hearty greeting when you enter the store. 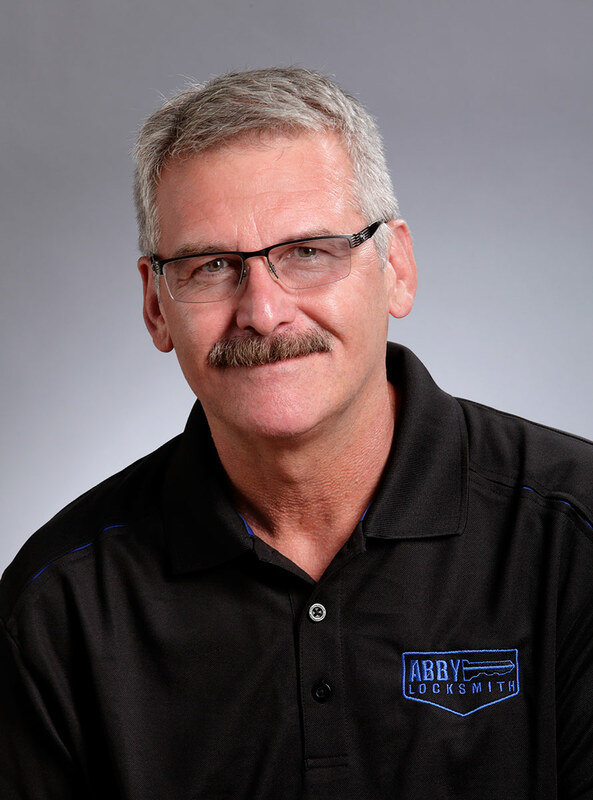 The first non-related staffer to enter the family business, Randy has been part of the Abby Locksmith team for 15 years, handling customer service and retail sales, and cutting your key in no time flat. The standing joke around the shop is that Randy holds the distinction of ‘2015 Key Cutting Champion’ (2016 pending)! After having worked in arenas as varied as steel fabrication, car sales, the oil industry, pulp and paper, and running his own painting business, Randy entered the world of locksmithing 15 years ago, with a 98% grade average from GR Tech College. By the end of his first internship at the shop, Randy had secured his place with Abby Locksmith, serving a loyal and growing client base ever since. Randy relates to many longtime customers on a first-name basis, in his role selling a variety of security products, and providing inside service including key cutting and rekeying of locks. A longtime Abbotsford resident and Calgary transplant, Randy is devoted to his family, which includes two grandchildren who pop into the store regularly to see what Grandpa is up to. When not enthusiastically engaged in client service, Randy can be found golfing, floating in a pool in a hot climate, or cheering on his daughter’s baseball career in the U.S.